Today's post is a reprint with some additions. I first put this together last September on the Meadowtree Journal. 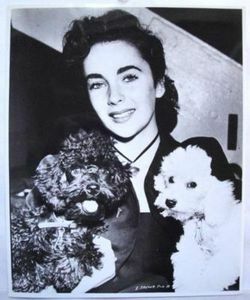 Liz Taylor's love for animals is renown. 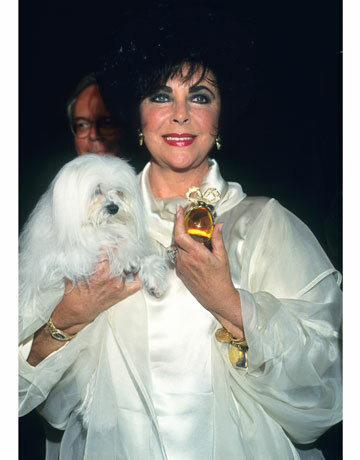 I will be the first to admit that her major dog love was "Sugar", a Maltese who passed away in 2005. After "Sugar", she fell for "Daisy", a descendent of Sugar. 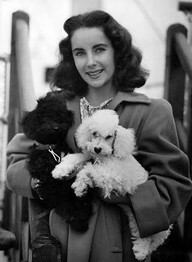 Liz also had Poodles, especially during her earlier years. Some of these pictures could possibly be studio orchestrated. The studios took advantage of her obvious emotional connection with animals. The first four of these photos were difficult to put a date and place on. The second one in this grouping was the only definite date I found. 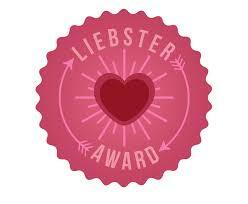 On others, guesses were made based on clothing and interior design. Judging from the coat style, I would put this photo during the late 40's. wearing. The hair and dress says mid 50's to me. 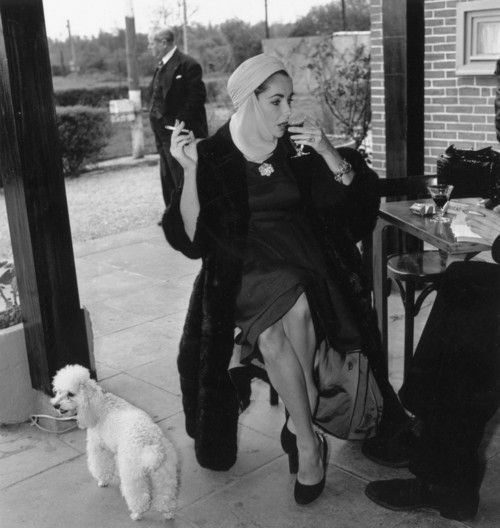 Major Diva picture-one of my favorites. I would put this photo around early 60's. And here are who I think were the two most important dogs in her life Sugar and Daisy. 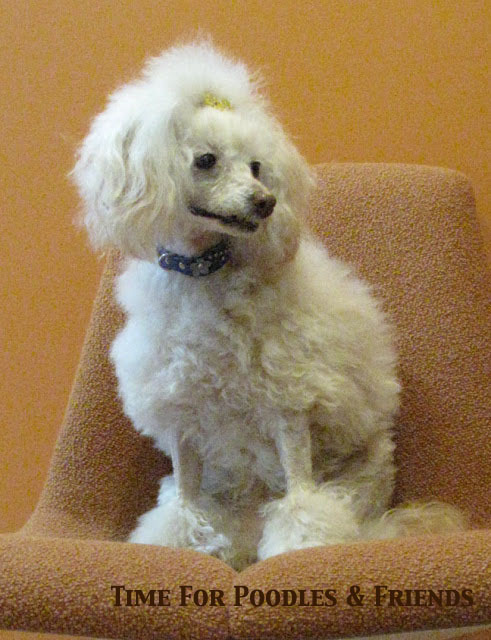 Liz had Daisy at the end of her life. I believe her son now has her. 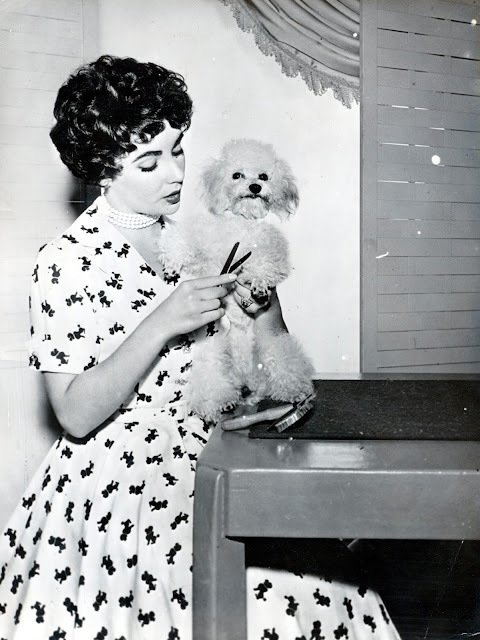 Liz Taylor is quoted to have said, "I sometimes think that I prefer animals to people. And I was lucky. My first leading men were horses and dogs." 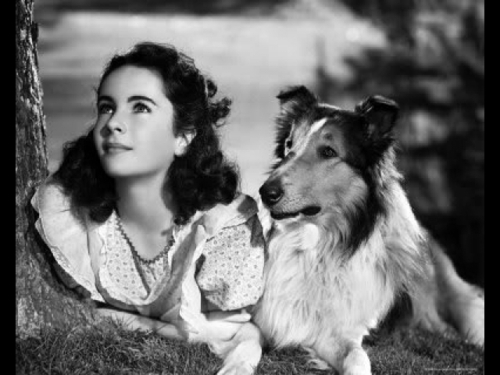 And with that here is a very young Liz in 1943 in Lassie Come Home.